I'll be honest, cake ice creams are my daughter's thing, not mine. I really wanted American Globs because #pretzels but the Birfdae Cek (birthday cake) pints had a much better expiration date. If things go well, I'll probably pick up Rocky Roadhouse as a work snack in the near future. The other flavors are Dorothy, Lunchbox, and Blueberry Gobbler. Wow, that's an awesome opening shot. Way to make me want to dive in. I dive in and I like it. It's not super dense. 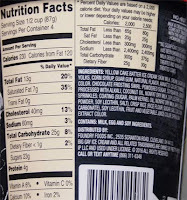 It's seem like more of a high end mainstream ice cream than dipping in to super premium territory when things approach 300 calories per servings. I'm not really sure how I feel about the crunchy colored sprinkles on this first testing. They look like pop rocks but thankfully are not (that idea may sound fun but it doesn't really work for me - just take a look at Friendly's attempt at it). I guess you could say I don't love them, but I feel like I would be lost without them. I let my ice cream temper (melt) more than I usually do but I was just in that kind of mood today. I guess I was trying to enjoy the flavoring as much as possible. It's strong but not too strong. 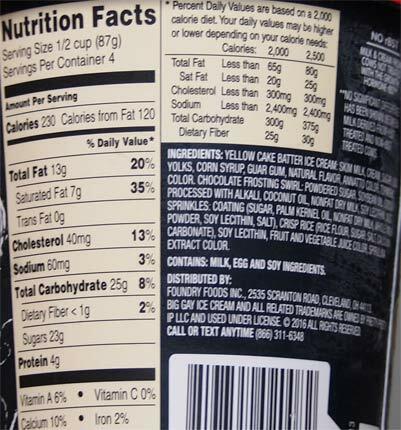 I like the way the frosting cuts in to the cake flavor and gives you a more complex flavor overall. I didn't have a ton which wound up leaving me wanting more. (to translate that: I didn't scoop myself half the pint expecting that I wouldn't love a cake flavor, but I definitely enjoyed it). On Second Scoop: I had a small serving today so that I could kind of confirm and then elaborate on what I was thinking yesterday. In terms of flavor, this is in the range of it's competition. It's meant to be fun yet created from experience and I think they do that with the base and how the swirl factors in. That said, the texture doesn't click 100% for me. 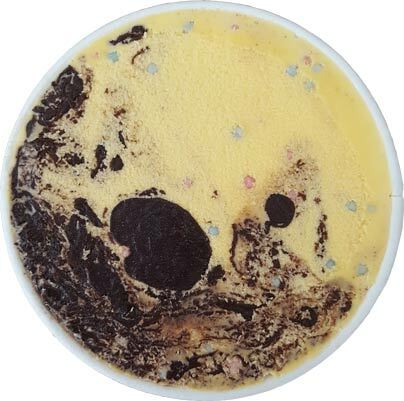 First, I don't understand the sprinkles, and two, my pint does seem a little icy and I can't tell if it's from the base, the swirl, or just a bad trip to the freezer aisle. It's not crazy bad, but it's lingering in the back of my mind and I'm not sure what to blame. This pint isn't perfect, but from my perspective, it's better made than those early pints of Vice Cream where all the mix-ins had sank to the bottom. 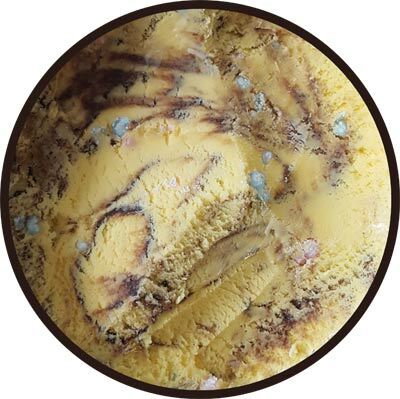 This pint isn't perfect but it's more than good enough to make me try their other flavors which will in turn get me a better and more complete picture of what they are offering. Off topic, did Walmart release (or re-release) a new exclusive flavor? I saw something Pecan Sticky Buns the other day and only today remembered that that was their exclusive flavor a couple years ago. Can't possibly be random left over (found) stock, can it? the good news is that it is back as I've seen it too. In general, the best thing to do is just flip the pint and check the date which should be like a year or more out from the current date. (it varies by brand ofcourse but B&J's is like 18 months I think). that said, old stuff can be found on occasion. last year, the target by work put out a pair of expired pints of Haagen-Dazs artisan collection and they sat there for months afterwards. 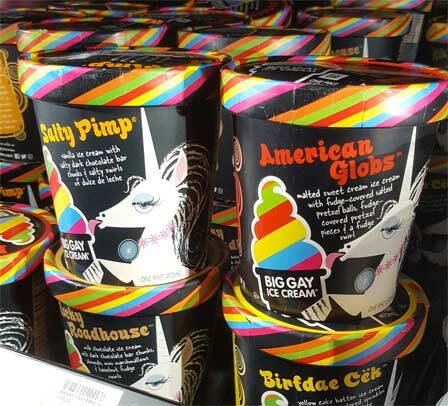 ROFL I can't stop laughing at these flavor names & unicorn mascot. They just made my day! Such a lousy time to live in the Southeast though. I won't find these at a local Kroger for obvious reasons. Maybe when I go back home to NJ to visit I'll find it at Shop Rite or Stop & Shop. 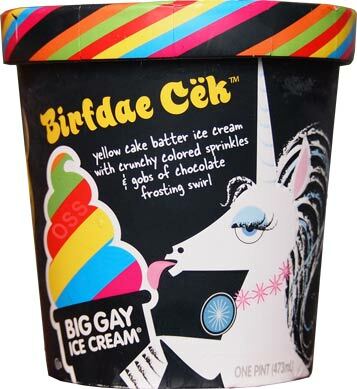 Your little girl has great tastes ; cake ice cream gives me life.